Click the online store name or logo to visit the online retailer. Amazon.com proudly features Earth's Biggest Selection of books, apparel, electronics, and more! We carry classic wooden toys, puppets, games, puzzles and much, much more! A Little Girl's Princess Boutique, featuring children's Toys & Crafts, Stuffed Animals & Puppets, Dolls, Dress Up Apparel, and More! Great selection of Folkmanis Hand and Stage Puppets for stimulating play. Find a world class Folkmanis Puppet here and get those imaginations running. Discounted prices for Folkmanis Puppets matched to Children's books. Free US shipping. A European Lifestyle store, importing some of the finest, handcrafted items from Switzerland, Germany and Austria. We also offer beautiful and unique pieces from US companies, including the very popular Folkmanis Puppets. Visit us at our store or on-line. Whether you're looking for an educational toy, a pet lover gift, a puppet ministry character, or just to have fun with animal puppets, this is a great place with great prices! Anwo.com Animal World features the Folkmanis line of animal hand puppets and animal finger puppets. Discounts are available for large orders call us toll free at 1-800-808-9745. Art of Play is a full service toy and gift shop for children and adults. We carry educational, scientific and decorative items in addition to specialty games and toys. Enjoy the experience of our eclectic children's toy and book store. We offer the full line of Folkmanis puppets. Established in 1989. Read, play, sing and dance with your kids and watch them grow and learn. We believe that nurturing a child's imagination is an important part of learning, and we strive to bring you high quality books and toys to help you do so. Lower Prices on Millions of Books, DVDs, Music, Toys, Folkmanis Puppets & Games and More. Shop for eBooks, NOOK, and textbooks. FREE Shipping on $25 orders! Quality Toys for Girls & Boys since 1986. BC Playthings offers a good selection of quality, wholesome toys. We are well known for our wooden and other natural toys, and are a resource for Waldorf parents and educators. This is our 77th year of business in historic Salem, Massachusetts, and Bernard's Jewelers is pleased to have launched our first online store. We're excited to feature respected names in high quality jewelry, tableware and giftware. See it on Video! Folkmanis Puppets sold online at our Toy Store. We are a family owned business featuring quality and Fun! Open Year Round in Old Orchard Beach, Maine, Board Silly Puzzles & Games offers a large selection of puzzles, games, brainteasers, puppets and much more!! From newborn to newly retired — fun ideas for kids of all ages! An eco-friendly shop featuring hard-to-find wildlife & fantasy shirts & gifts. Cardae is your gift specialist. View our large selection of flowers, plants, gourmet baskets, jewelry, Folkmanis Puppets, and other fine gifts delivered across the USA and throughout the world. We sell a portion of our toy inventory online. For best selection visit us at 341 East Benson Blvd in Anchorage, AK. Clown Antics is your ultimate source for clown supplies! We have thousands of items in our online catalog, including a range of Folkmanis Hand and Finger Puppets. Distinctive children's gifts and gift baskets. Delivery available nationwide. Huge selection of Folkmanis puppets and more. Find a cool animal here! We specialize in cottage accent items for the home and garden. Our line includes linens, nautical bedding and accessories, outdoor seating, ship models and navigation instruments, Nantucket baskets, and a diverse collection of Sea Shore dishware. Cow & Lizard is an online children's toy & clothing store that offers a large selection of fun & educational toys, cotton kids clothes, baby gifts and much more! DinosaurToysSuperstore sells and specializes in nothing but dinosaurs for kids. Shop the biggest dinosaur toy store for all your dinosaur gifts! Since 1979 our friendly, family-owned doll and teddy bear business has served gift buyers and collectors worldwide. We offer you a terrific selection in all price ranges, for all age groups, and strive for supreme customer service. Dragon’s Toy Box is the best toy store in Seattle for high quality interactive fun for infants through adults! Started in 2005 by mother daughter team Gail Small & Brekke Hewitt, we are a family owned and operated business. Adventure shopping for the entire family since 1984. Delight in over 10,000 stuffed animals on three levels aboard our custom built Ark. Realistic animals range from exotic to domestic and miniature to life size. Nine Time national award winning store. We are a small, family owned and operated business that takes great pride in our ability to offer exceptional service to each and every customer. Our unparalleled selection of quality toys is but one of many reasons that makes Fat Brain Toys unique. Floral Heights online store offering finest floral arrangements and exquisite gifts for every occasion. We spread happiness through plush friends worldwide. We carry a variety of products that support healthy families. Some of these items include quality developmental toys, puzzles & puppets, organic clothing, breastfeeding supplies, cloth diapers, hand sewn blankets, soft-soled shoes, gifts, etc. hopscotchtoys.com is an extension of our brick and mortar toy store. We are family owned and customer service oriented. We specialize in serving educators in schools, churches, and organizations. We take purchase orders. Please e-mail igoteachonline@yahoo.com with a list of folkmanis puppets and we will send you a quote. We sell kid-powered toys that challenge the mind and inspire the imagination for hours of unplugged fun. Check out our great variety of wooden toys, puzzles, games, stuffed animals, collectibles, kids watches, trains and of course -Folkmanis puppets! JESTMASTER'S FOOLERY SHOPPE features UNIQUE UNUSUAL USEABLES, such as Folkmanis puppets, puzzles, games, toys, props and collectibles from Doctor Who to The Yellow Submarine. PERFORMER ESSENTIALS provides everything from costumes to magic for performers. Joie de Vivre opened its door in 1984. We carry clever, beautiful and original, as well as just plain wacky gifts for all ages and interests: wind-up toys, kaleidoscopes, jewelry, flashing rings, clocks, etc. We stock over 5000 puppets for use at home, churches, classrooms, camps and other settings. JumpStart Toys, LLC provides high-quality kids' toys, hand and finger puppets, educational games and science kits that we believe enhance a child's growth and development. Pretend play, which can be enhanced with puppets, helps develop imagination skills. Jungle House Publications features wildlife children's books with Folkmanis Puppets and plush animals representing the characters in the books. Great for storytelling. At Kaleidoscope Shop, we have something to interest everyone, all ages, any price range, featuring kaleidoscopes by over 100 artists, and specializing in all things unique and beautiful. We have been enchanting children since 1980 with our selection of educational toys. As a leading on-line specialty toy retailer, Kazoo Toys¨ is committed to bring you the country's largest selections of unique toys from around the world. Located in Canada, we sell the full line of Folkmanis puppets. Fast shipping and great service. Choose from our variety of Kites and Puppets. Retail, institutional, and government PO's welcome. Great selection of educational toys! Check us out! Much more than a Department store! Located in West Reading, Pennsylvania, USA, La Retro Boutique has become a leading seller of fun gifts for kids, tweens, teens and adults. Our primary goal is to create a positive shopping experience while providing unique and fun gifts. Learning is Fun, the education candy store, offers a wide selection of educational products in a fun, well-organized place to shop. Our web store features toys, games, puppets, children's books, book & plush sets, arts & crafts, science kits, & much more. Beautiful gifts for beautiful children! Musical instruments, gift baskets, puppets, blankets, lunchboxes, backpacks, books, puzzles and more! Children's imagination superstore with costumes, puppets for imagination play. Educational and role playing toys for children. Themed birthday party supplies and matching accessories and costumes. At Merlin's Toy Cave, we strive to provide toys and gifts to encourage imagination and creativity. Quick, personal service with a smile for all your finger puppet needs & some larger puppets. Mrs. Kate writes songs to go along with Folkmanis puppets! We carry a full line of quality toys, puppets, puzzles, and games for kids of all ages, including grown-up kids! An upscale, luxurious infant and children's store, we specialize in designer, trendy, and chic products. We have a huge selection of apparel furniture, bedding, toys, games, gifts, maternity needs, organic bath products, shoes, and accessories. One Way Street is a supplier of creative teaching tools and equipement for churches and schools. We supply curriculum, music, books, puppets, and puppetry equipement to schools and churches throughout the world. Harry Potter Merchandise, Magic Wands and Wizard Supplies. Get your Folkmanis Owls here. Free Potions Labels with every purchase. Voted the BEST Toy Store in Albuquerque for the 5th year in a row, we are the ONLY specialty Toy Store in Albuquerque. Customized service and free gift wrap every day of the year! Paisley Monkey, an online store headquartered in Lakewood, Ohio since 2005, sells over 1400 unique and wonderful gift items including toys, puppets, books, music, clothing and other gifts for infants, children and parents from more than seventy brands. Whether you need puppets for ministry, school, therapy, gifts, or just for fun at home, we know you are going to love the high quality and low cost of our puppets! Soon you will experience the joy that comes from owning our puppets! Online store selling all things puppet! Shipping just $7.95 for your entire order. Hundreds of puppets at 20% off retail, free shipping over $125.00. Featuring the full line of Folkmanis Puppets. In business since 1979. We accept purchase orders from Schools and Libraries for amounts over $100.00. Puppet Universe features one of the largest selections of half-body, full-body, finger and hand puppets on the Internet. Find over 200 types and styles of Folkmanis puppets in a wide range of characters and sizes. Puppet World has been in business for thirty years, selling throughout the United States. For in stock items, we ship sames day via UPS, and out of stock puppets will ship within seven days! Visit our website at www.puppetworld.net. We Build Smiles and Imaginations. The Puppet People. When you shop at Puppet.com for all of your puppets and puppet accessories, you're the star of our show! We promise to give you star treatment every time you visit us. All of our puppets and puppet accessories ship factory fresh directly from our warehouse. You will find a huge selection of gift ideas - puppets, marionettes, cartoon and popular book characters. We feature the full line of world's finest Folkmanis puppets. Fast shipping, International orders welcome! Rabbit In My Hat is your source for hand puppets, rabbit in the hat products, magic tricks, puzzles and more. We are an online store that specializes in high quality toys and gifts. As a family owned business located near Lake Tahoe, California, our goal is to bring the very best of the best to American Families, toys for that special occasion. The website is partial presentation of the items we have in the store or can obtain as special order. The Nature Shop is the retail section of our website and is dedicated to nature and bird related products. All profits support the programs of Seattle Audubon. Folkmanis Puppets are our top selling item. Resources on all issues for children of all ages. If you don't see what you're looking for, give us a call at 800-251-8336. All items stocked are not yet on our web site. Visit the Shibori Dragon for the finest in Oriental fabrics, Quilting & Wearable Art with an Asian Flair. We also have unique beads, buttons, embellishments and gifts including Folkmanis Puppets for the young at heart. Sing 'n Speak Spanish is a 4 year Spanish Elementary Curriculum for K - 6th grades. It is an interactive language program that integrates songs, puppetry, and many fun activities into each lesson! Join the schools nationwide that have discovered us. Specializing in Fine Gifts and Collectible since 1975. A world of wonder for young, old and everything in between Great gifts for lovers of magic, dragons and unique curiosities. 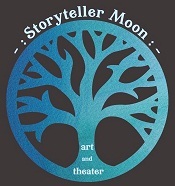 So very many of the puppets used in Storyteller Moon performances and workships are made by Folkmanis, and are indeed available for sale through Storyteller Moon! We offer a great selection of quality stuffed animals and puppets. Welcome to one of the largest collections of life-like stuffed/plush animals like the creatures that were saved aboard Noah's Ark! Orders received by 10AM Pacific Time Monday-Friday ship from Northern California the same day. Welcome to our collection of plush characters inspired by the traditions of western culture. Follow the links to see our legendary plush creations. Stuffed Safari is THE online destination for plush animals and puppets! We carry only the best brand names, and have one of the largest selections and varieties of animals on the web! The online version of The Dinosaur Place has a select grouping of our products. The Doll House & Toy Store carries an assortment of toys, dolls, games, dollhouses & collectibles & old fashioned toys. Visit our site to see what an old-fashioned toy store is all about. Come & play with us, you will have a lot of fun. The Golden Grotto is a retail seller of many hard to find items, such as Costumes, Accessories, Mask, Makeup like Ben Nye and Mehron, Party Supplies of all kinds, Magic, Jokes, Novelties, and Puppets. The Happy Store is a fantastic online supply store for the performer and the educator. The Happy Store provides supplies for clowning, face painting and children education. It has a wonderful selection of Folkmanis puppets to help teach messages to children. Puppets and Collectibles. (Includes Shopping cart and Secure credit card and paypal for payment) Adding to it on regular basis. Welcome to the Jungle! The Jungle Store is your one stop shop for your favorite animal themed products! Where you can find items such as Animal Gifts of all kinds, Stuffed Animals, Inflatables, Masks, Zebra Print Items, and many more! Check us out!! Since 1996, The Learning Tree stores have provided the Kansas City area with unique and timeless toys, books, and gifts for kids. Our Toy Experts have hands-on experience and knowledge to help you find that special toy or game you’re looking for. We have games, puppets, books, laminated pocket field guides, stamps, apparel, gifts, Melissa & Doug Products and Straight Edge Products to help you in your discovery. We have carried unique children's toys and puppets for over 35 years. Located in North Conway NH, you will find a wide selection of Folkmanis puppets. The Puppet Lounge is your place for puppets. Offering a wide selection of puppets at low prices while giving great customer service. Make sure your next friend comes from The Puppet Lounge. Same day shipping on most orders. Your Hand is the heart of the Puppet. For over 45 years The Toymaker of Williamsburg has offered classic and unique playthings and collectibles for kids of all ages, including toy soldiers, puppets, games, dolls, puzzles, preschool and educational toys, and historical toys and replicas. Science/Nature, Educational Toys & Executive Gifts. www.tinytots.com carries items for new baby's and moms that are healthy for them and our environment. Quality toys that encourage creativity and imaginative play. A Family Owned, Home-Based Online Specialty Toy Store Putting "Personal" back into Customer Service Your Children are Unique, Their Toys Should be Too! Located in beautiful John's Pass, Treehouse Puppets & Treasures is a place of whimsy and fun for all ages. We have hundreds of puppets, as well as toys, games, hats, kites and a large 99 cent section. Our website is a work in progress. Ultimate Tooth Fairy: Personalized and creative tooth fairy gifts to expand your child's imagination. Virginia Bows is Northern Virginia's largest dealer of Folkmanis Puppets, Madame Alexander, Mud Pie Baby, North American Bear and Kids Preferred. We also offer a beautiful selection of Hair Accessories, Christening, First Communion, and Baby Gifts. WonderBrains offers educational toys for children of all ages, including games, puzzles, dolls, puppets, and much more. Gift wrapping and free shipping available.